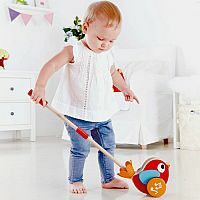 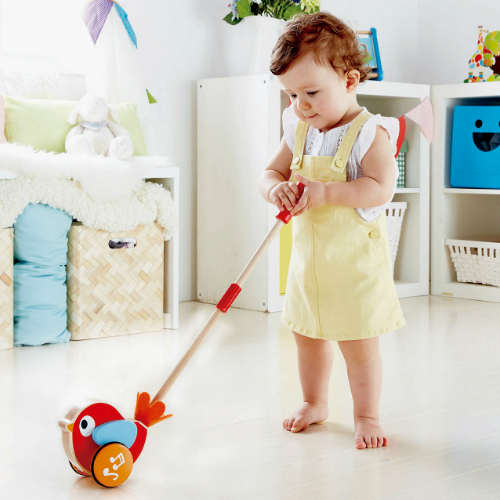 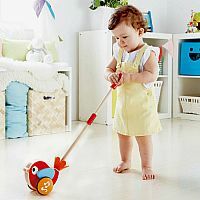 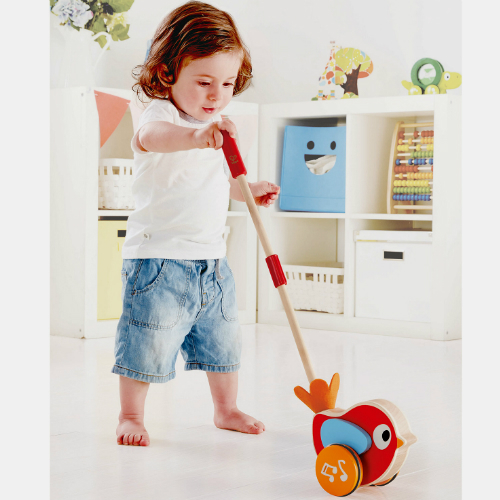 The Hape Lilly Musical Push Along merrily chirps and happily moves along when toddlers push Lilly the Bird throughout the house. 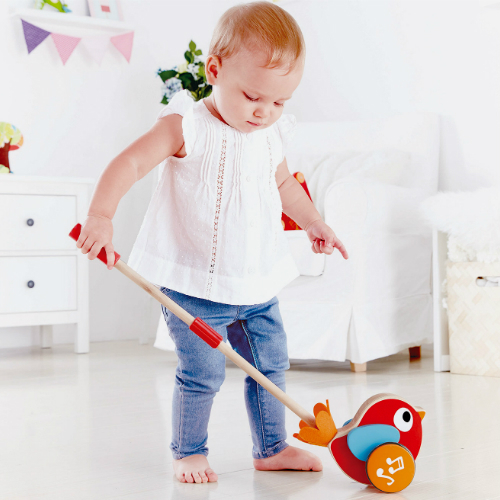 Little ones learn to walk and balance as they move around pushing Lilly. 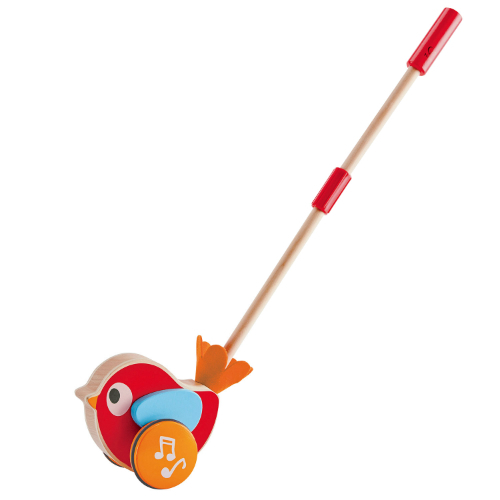 Lilly push toy is 22.24" tall and made of wood, plastic and steel. 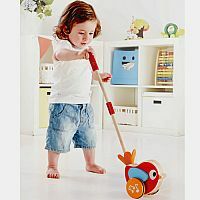 Ages 1 to 3 years. 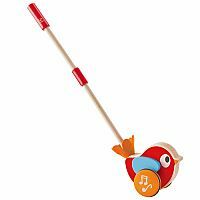 Measures approximately: 7.00 x 9.50 x 7.00 inches..